AOMEI Partition Assistant Standard is an alternative to Windows disk management. It has some utilities that Windows built-in partition program has not, such as Windows To Go Creator, make bootable media, migrate OS to SSD/HDD, etc. We wrote an article about AOMEI Partition Assistant 5.5. Two years passed, the latest version is 6.0. Of course, with many new features. Windows To Go was a highlight feature in 5.5, but in 6.0, highlight features are quick partition and command line partitioning. Because these two functions are free to use in all editions of AOMEI Partition Assistant, while in other third-party partition software, these two functions are paid to use. In 6.0, Windows to Go Creator has been enhanced a lot. There are many updates to 6.0. What’s more important is that it optimized lots of detail to make it easier to use. Two years ago, Windows PC is a Windows 7 owned world, but today, Windows 10 becomes more and more popular. AOMEI Partition Assistant also keeps up with the times, it is a partition magic for Windows 10. Partition hard drives in Windows 10, resize Windows 10 partition, migrate Win 10 to SSD, clone hard drives in Window 10 and so on, with the help of AOMEI Partition Assistant, all these tasks will be completed safely and without data loss. Split partition: Turn one partition into two in one time. Partition Recovery: It is actually a way to recover your lost partitions that were accidentally deleted or damaged due to hardware/software failure, virus attack or some other unknown reasons, as long as they were not formatted/overwritten to after deletion. AOMEI Partition Assistant Standard is a free partition manager. 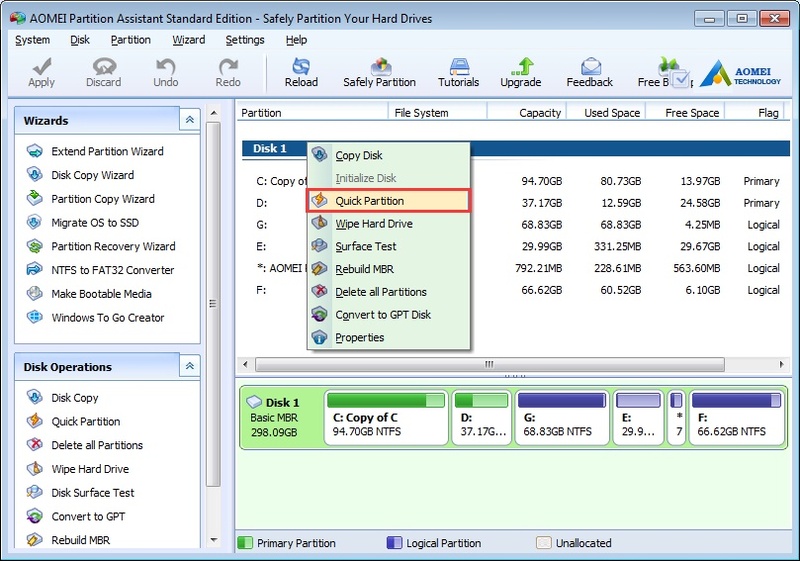 If you want to choose a partition tool to optimize your system, I think it is a good choice. Related to "AOMEI Partition Assistant Optimizes Your Computers’ System"